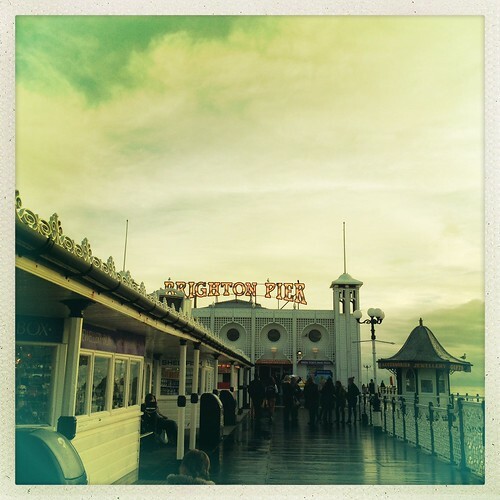 Hipstamatic pier, a photo by PhotoPuddle on Flickr. As you might have noticed I have failed in my challenge to blog every day this month. Tiredness was my downfall. I took my iPad up to bed with me on Wednesday night meaning to do a quick post from there but before I even got a chance to think about what I was going to post I had fallen asleep. When I woke up it was passed midnight so my opportunity for a post that day had gone! Then last night I just didn't get around to it either. Don't worry I'm not mad at myself. Instead I am impressed I've managed to blog as much as I have lately. Let's just see what happens now! Here's another picture of Brighton taken by me. I love the hipstamatic app but more on that in another post.